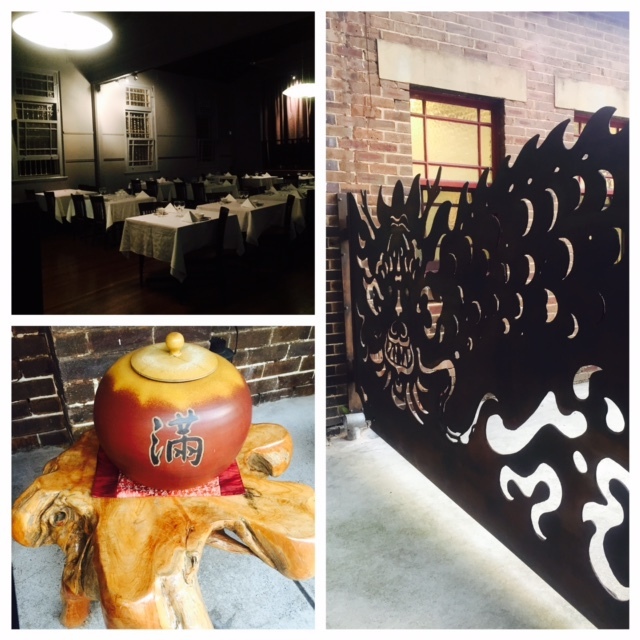 With a beautiful wrought iron gate shaped like a dragon at the entrance, the Taiwanese Restaurant Blue Eye Dragon is located in a traditional church hall. With modern add ons such as the staff area and facilities added to the rear, it's shielded by a recycled timber wall tying back in to the heritage of the church. You enter into a large open courtyard before walking through to the dining room which is dark with two oversized lights and strategically placed spotlights adding to a romantic atmosphere. As you glance around over the other patrons to a curtained off stage area, this I'm told is the private dining area. Blue Eye Dragon is a licensed restaurant with a great selection of wines from Australia, Italy, France and New Zealand. They also have a list of beers and dessert wines on offer. Beginning with pan fried pork dumplings and vegetable spring rolls to whet the appetite. The pan fried pork dumplings were amply sized, filled with a mixture of pork mince, chives ginger and shallots with a sesame chilli sauce highlighting this tasty morsel. Crispy spring rolls with a sweet viscous sauce had us quickly licking our fingers. I've heard this place is known for their prawn dumplings with water chestnuts, shallots and Chinese celery and I wasn't disappointed. It was good to know that their pork and prawn dumplings are also sold as take home frozen delights to have at home. Next up was the stewed beef shin, thinly sliced tender pieces of beef which simply melted in the mouth and I didn't mind the extra hit of chilli from the accompanying sauce. 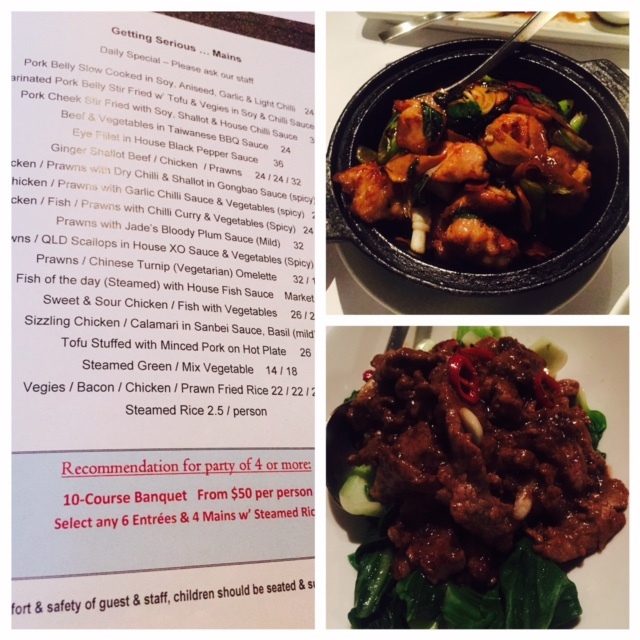 Curious as to what Taiwanese BBQ sauce entailed, we ordered the beef and vegetable dish. Beef covered in a thick slightly chilli sauce offset by the crunchy bok choy was a hit. Definitely recommend the sizzling chicken in sanbei sauce, basil, with its intense flavour, tender chicken pieces, chunks of ginger and garlic topped with a liquorice bite from the Thai basil. It was unlucky that I had no room for dessert. Blue Eye Dragon blends auspicious principles taking a modern twist on the traditional with their entrée menu reminding me of delicious street stall dishes. Having eaten at this restaurant when previously located on Harris Street for many a late supper, I found their dishes steeped with such simple ingredients of ginger, soy, shallots and chilli were incredibly delicious and hits just the spot after a long day in the office. What I have read about the Taiwanese eating culture is that the most important element of the taste experience is colour, aroma, flavour and texture, all of which must be combined into one harmonious whole and herein lies the art of Chinese cuisine. Taiwanese food combines local ingredients with the culinary influences of the nearby Chinese provinces, this is what I cannot wait to experience in my travels to Taiwan later in the year. 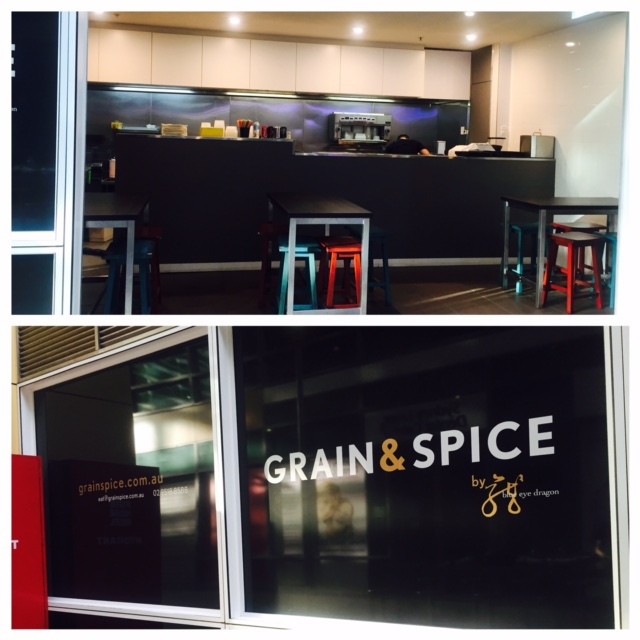 Visit their newly opened dumpling bar called 'Grain & Spice' which is located next to Coles in Pyrmont. Selling their delicious dumplings, tasty treats like Taiwanese five spice chicken bites, healthy soups and rice and noodle dishes. Make it even easier for yourself and select the daily lunch box with rice and soup for $15. 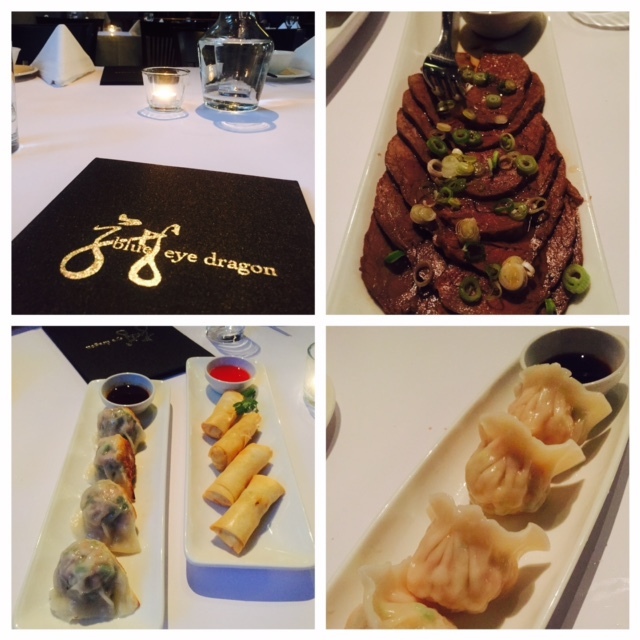 Great review for an amazingly yummy restaurant - an absolute must go to!